Heard about this on Facebook as well. Rip to the rider.. I hear he had a heart attack. No way of knowing if it was before or after the wreck though. That would be the second one like that in two weeks. A 61 year old died just after completing a vintage race in Florida a couple weeks ago. Witnesses to that one said he slumped over after crossing the finish line and ran off the track. RIP Rider, and condolences to family and friends. Sad day for the family and friends.. my prayers go out to them. May he ride eternal, shiny and chrome. Witness! Regardless of your age, keep hydrated, keep in shape, and pay attention to your bike and your body folks. Motorcycles are not forgiving creatures. I am of the opinion that there are worse ways to die, but that's a decision every rider has to make for themselves. Squidly, 2nd Childhood, MikeMikeMike and 1 others like this. What a great 👍way to go, doing what he loved! Wow, make it 3, guy ran off at Mid Ohio at the AMA Vintage days too. RIP to all. Gary had a Hemorrhagic stroke, it was very well before the accident. Also he was 78 and ripping to the end! Damn, I had no idea until just now that "Gary" was Gary Graffe. 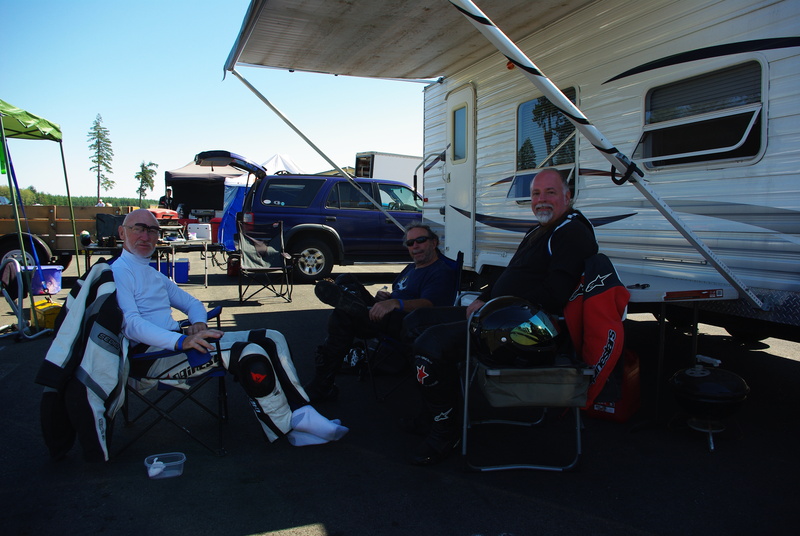 Gary was good friend, pit partner and the best of people. Lizzy and Delia were amazing too, I hope they are doing OK.
You guys know the bond you make when you trust someone to pass you a few inches away in a corner, that was Gary. Man I'm going to miss this guy. RIP Gary, see you on the other side. PS, sorry for the image size. I cant seem to get it to scroll over to correct it.